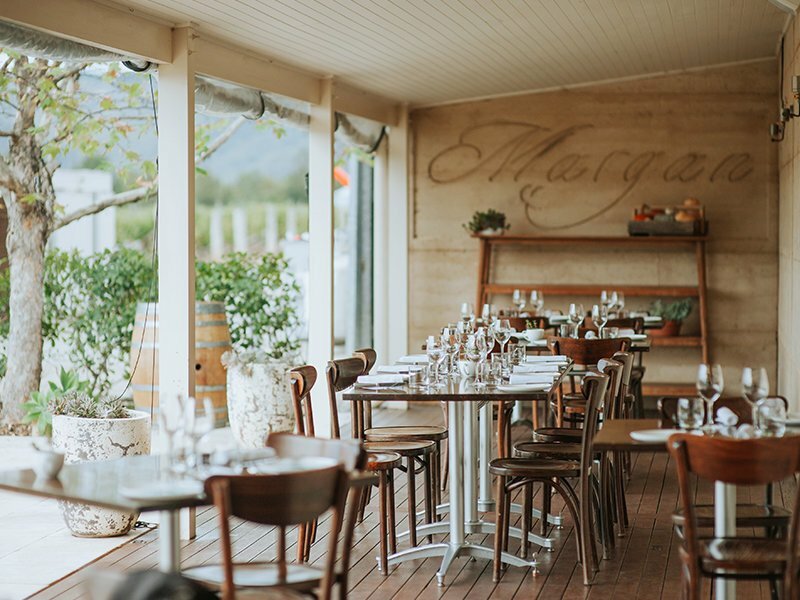 Margan Restaurant is now in its tenth year and as the pioneers of agri-dining in the Hunter valley we are committed more than ever to our ‘estate grown, estate made’ ethos. We base our menus around what we harvest from our one acre kitchen garden and orchard to maintain a truly seasonal focus. In addition we have our own olive trees, free range chickens, honey and raise our own lambs. 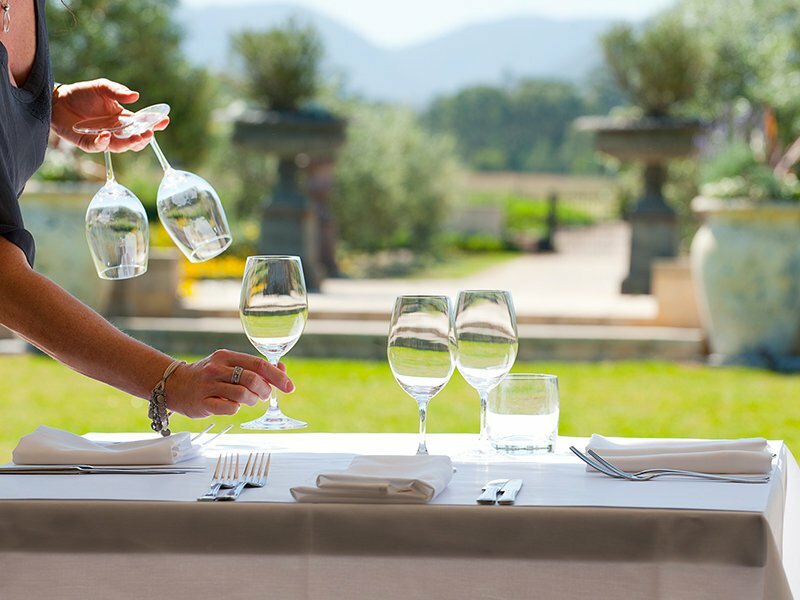 A selection of our estate grown produce is incorporated into the menu. 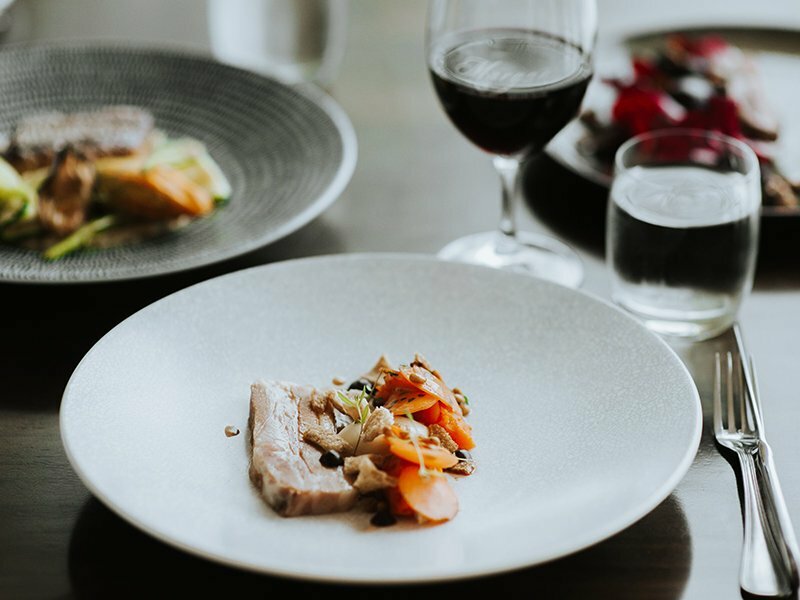 What we do not grow or produce here on the estate we source from our local area including Wagyu beef, pigs from Krinklewood biodynamic farm, mushrooms, olive oil and farm gate produce from Broke. We are firm believers in respectful animal husbandry and all our poultry, fish and animals are raised humanely and sustainably. Our ‘nose to tail’ philosophy shows respect for the entire animal utilising prime cuts as well as secondary ones with our own charcuterie production including prosciutto, coppa and pancetta. We ‘dry age’ our beef on site to ensure maximum flavour. 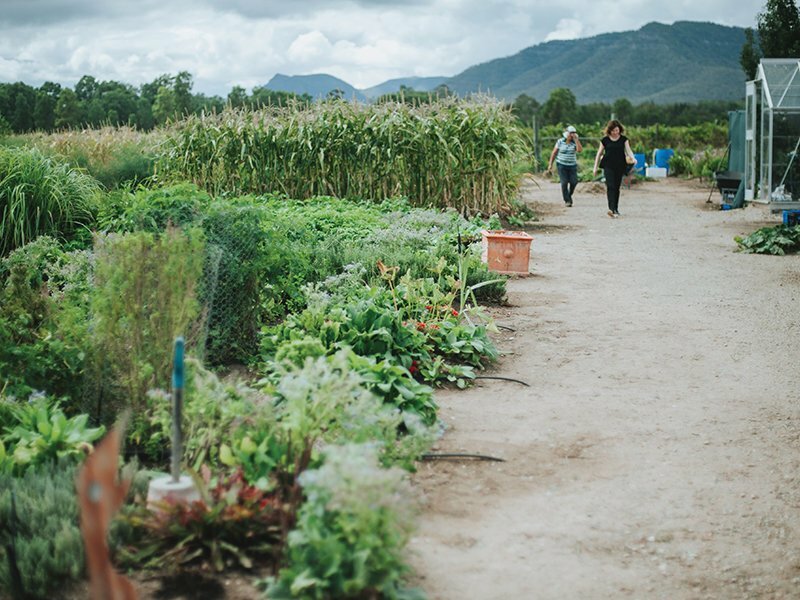 As farmers we are committed to looking after the land and as such are certified with Green Table Australia as well as the WFA Entwine program for our environmental sustainability initiatives (first and only HV restaurant and winery). Integrity is important to us and our accreditation benchmarks us internationally for best practice to ISO14000. 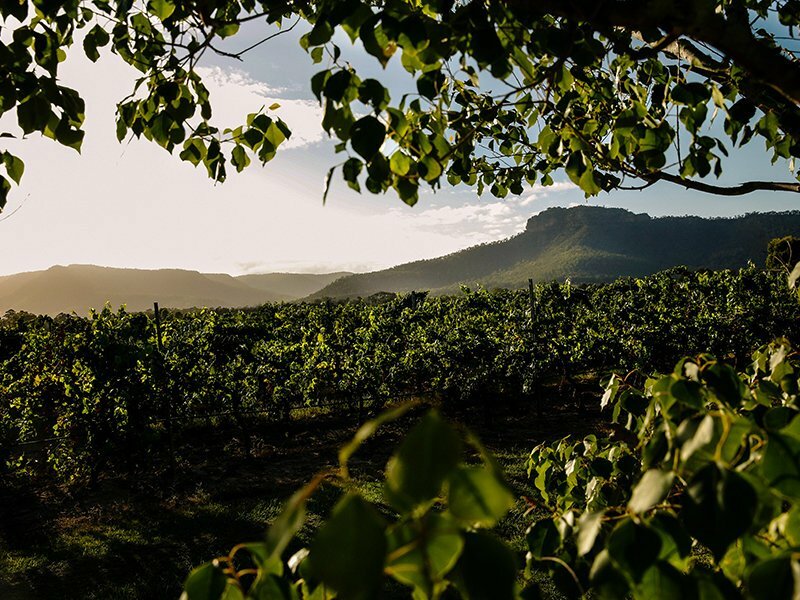 Andrew Margan has created a great wine list with current and back vintage Margan wines as well as a collection of other Hunter greats and international gems from his own private collection. Lunch: Friday, Saturday & Sunday; Dinner: Thursday, Friday & Saturday Also open most public holiday Mondays for lunch. Bookings are essential as opening hours may vary. 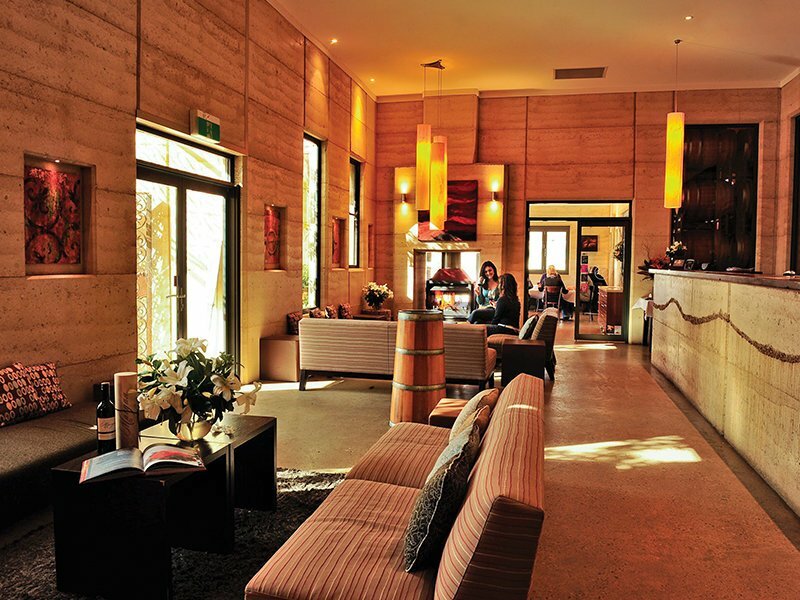 Have a friend that would enjoy dining at Margan Restaurant?